Arriving in Washington on 6 December 1982, Pakistani dictator General Muhammad Zia-ul-Haq meet Secretary of State George Shultz, a steady supporter of aid to Pakistan, nuclear problems notwithstanding (Photo from National Archives and Records Administration, Still Pictures Division, RG 330-CFD ). For the Reagan administration, aiding the anti-Soviet war in Afghanistan trumped nonproliferation policy interests. The high priority given to a close U.S.-Pakistan relationship may have encouraged, as some journalists have alleged, State Department officials to warn the Pakistanis of the imminent arrest of their agents. Indeed, a key figure in the A. Q. Khan nuclear procurement network, Inam Ul-Haq, who was working closely with Pervez, evaded arrest by slipping out of the United States at the last minute. 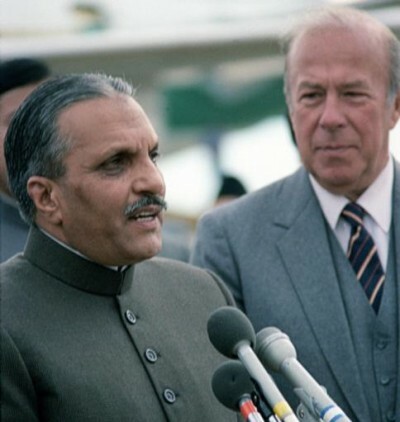 A few weeks later, Under Secretary of State for Political Affairs Michael Armacost explained to Pakistani dictator General Muhammad Zia-ul-Haq that State had unsuccessfully tried to get information about the Customs Bureau’s investigation of Perez, but “we did alert the GOP [Government of Pakistan] through letters, Ambassador Hinton, and our talks with the Foreign Minister that there was an issue here that needed to be addressed urgently.” “I understand the idea of warning, Zia replied.” Future declassifications may elucidate exactly what these urgent alerts amounted to. 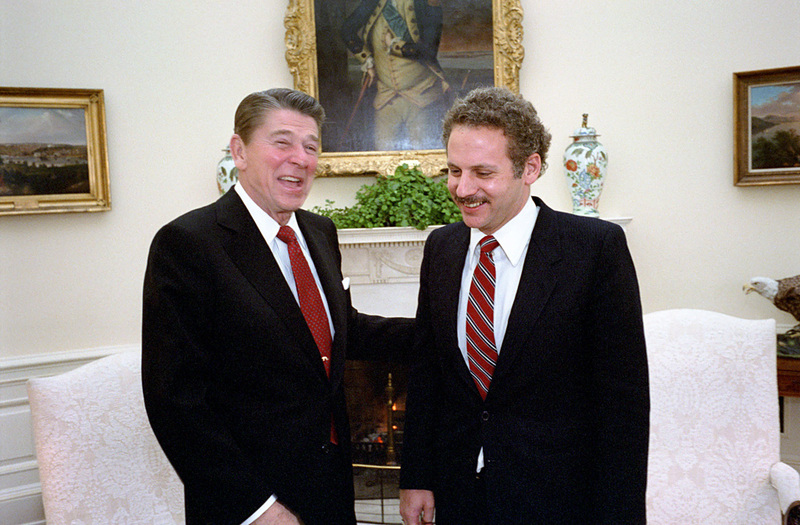 Kenneth Adelman with President Ronald Reagan, 21 January 1983, at the time of his controversial nomination as director of the Arms Control and Disarmament Agency. Adelman became a hard-liner on Pakistan’s nuclear program, but his support for cutting aid met resistance at the State Department and the White House. (Photo from Ronald Reagan Presidential Library, Photo C12544-8A). Records compiled by U.S. government lawyers for prosecuting Pervez, including correspondence between Pervez and the Khan front company, Multinational, Inc., Pervez’s correspondence with Carpenter Technology Corporation, the supplier of maraging steel, and Pervez’s personal notes, which include references to “atom” and “military” which his lawyers could not explain. A record of meetings on 5 August 1987 between general Zia and Under Secretary Armacost. Seeing a “conspiracy” to harm U.S.-Pakistan relations, Armacost observed that Washington could not simply “wink” at Pakistani procurement operations. He later said that U.S. government “information” indicated that “enrichment levels above 90[percent] have been achieved at Kahuta,” the site of a secret gas centrifuge facility. This meant that Pakistan was producing weapons-grade material in violation of an earlier commitment to a five percent ceiling. Michael H. Armacost (right) at the time of his appointment as U.S. Ambassador to Japan in May 1989, having previously served as Under Secretary of State for Political Affairs during 1984-1989. When the Pervez case broke out, Armacost played a major role in strategizing ways and means to avoid punitive action but also to encourage General Zia to meet U.S. nonproliferation objectives. (Photo from National Archives and Records Administration, Still Pictures Division, RG 59-S0, box 1). Besidesthe Solarz amendment, other acts of Congress were at issue in the debates sparked by the Pervez affair. One was the Pressler amendment (1985), after Senator Larry Pressler (R-SD), which required annual certification that Pakistan did not possess a nuclear explosive device. The other was the Symington amendment (1976); named after Sen. Stuart Symington (D-MO); it prohibited aid to non-NPT countries that initiated uranium enrichment programs for producing nuclear weapons. In 1979, under the Symington amendment, the Carter administration suspended aid to Pakistan after it discovered the Kahuta enrichment plan. When the Reagan administration came to power in 1981 it worked with Congress to give Pakistan a five-year waiver of the amendment because of its role in funneling U.S. aid to the Mujahadin in Afghanistan. Nevertheless, Congress imposed conditions – for example, aid would stop if Pakistan tested a nuclear weapon. With the waiver expiring in Fall 1987, the Reagan White House successfully finessed the Pervez affair so that it could justify continued economic and military aid to Pakistan. What had inspired the 1979 application of the Symington amendment was the discovery of Pakistan’s purchases of dual-use technology for its uranium enrichment program. A. Q. Khan was one of the founders of the Pakistani nuclear procurement system, but with other countries seeking specialized technology for their nuclear programs illegal networks have flourished. A recent report by the Institute for Science and International Security reminds us that illegal procurement networks for nuclear technology continue to pose a challenge to law enforcement and nonproliferation policy. The acquisition of material for gas centrifuges is central to this activity and maraging steel remains a commonly sought item by the procurement networks. This puts the Pervez incident in perspective as an event in the historical continuum of illegal procurement organizations for nuclear programs. What make this case distinctive is that Pervez was caught and his activities were documented. The documents in today’s posting only give part of the story, mainly the ACDA perspective and the nuts and bolts of Pervez’s procurement activities as presented in the trial documents. The State Department is coordinating the review of other documents on the Pervez case with other agencies and offices (probably including CIA), and some denied items are under appeal. The Archive has also requested declassification of a November 1987 memorandum by Secretary of State George Shultz to President Reagan arguing against penalizing aid to Pakistan. Assuming that some of these documents get declassified, more light will be shed on the way that the Reagan administration handled the Pervez case. Note: Except for document 9 and the Reagan public statements, all items below are from recent Department of State mandatory declassification review releases. A: Department of State telegram 287763 to Embassy Bonn, “Export of Uranium Enrichment equipment to Pakistan,” 19 September 1985, secret. As these telegrams demonstrate, by Fall 1986, if not earlier, the U.S. government believed that a Pakistani firm, Multinational Inc., was a “procurement agent” for A.Q. Khan’s secret network. In this case, Pakistani agents operating in West Germany were trying to secure aluminum tubes that could be used for the Khan Laboratory’s gas centrifuge program. The State Department sent the U.S. Embassy talking points that could be used for a “non-paper” for German officials. According to the Foreign Office’s response, the equipment had not been delivered and German firms had been informed that an export license needed to be granted. More needs to be learned about the follow-up in West Germany, but Multinational Inc. would surface in the Pervez case. The year after Congress passed the Solarz amendment in August 1985, Rep. Stephen Solarz (D-CA) traveled to Pakistan, a country that would become a major test case for the amendment which cut off U.S. foreign aid to recipients. Solarz confronted General Zia and other top officials with his perception, based on U.S. intelligence, that Pakistan’s Kahuta plant was enriching weapons-grade enriched uranium. The Pakistanis strenuously denied the charge, arguing that if their “word” could not be accepted there would be no “basis for the relationship.” Solarz argued for independent verification of that claim but the Pakistanis argued that would be an unacceptable intrusion on their sovereignty. The possibility of a regional nuclear solution was discussed but the Pakistanis argued that India had been unresponsive to their proposals. During a discussion with Pakistan Atomic Energy Commission (PAEC) chairman Munir Khan which included Australian and British diplomats, the question arose what would happen if Washington terminated aid to Pakistan in 1987. The Australians and British “posited” that Pakistan would “seek an accommodation on Afghanistan,” presumably through a deal with Moscow. The Pervez arrest immediately raised questions in the media but the State Department would say little other than: let the legal system do its work, no speculation about Pervez’s intentions, and the admission that the Department had expressed concern to Pakistan about the “overall nature and direction of [its] nuclear program.” No decision had been made whether to invoke the Solarz amendment and suspend aid. When ACDA director Kenneth Adelman saw the State Department talking points for a conversation with Pakistani ambassador Jamsheed Marker about the Pervez case he was irritated by the “business-as-usual” tone. If the comments did not express “outraged indignation,” Pakistan “will continue its bomb program and continue to lie to us.” Apparently, the language was strengthened in the final version (see document 7). Immediately arms control experts began to review available information about the Pervez case and drafted preliminary answers to whether the Solarz amendment was applicable. ACDA official Norman Wulf saw a good case, with the information supporting positive answers to basic questions: would the maraging steel to be used for nuclear weapons manufacture, was the Pakistani national working on behalf of his government, would the steel “contribute significantly” to a capability to manufacture a nuclear explosive, and was there an “attempted illegal export”? This memorandum by a senior NSC staffer took the Pervez case seriously as a threat to aid to Pakistan that Islamabad needed to avert by making “reliable assurances on enrichment and on illegal procurement activities.” Instead of focusing on the U.S. dilemma of balancing nuclear proliferation and Cold War concerns, Washington should “shift the onus of maintaining the relationship onto” the Government of Pakistan. Something “substantial had to be done” because the Pervez case was an embarrassment to the President and involved a violation of U.S. law. Among the options that Tahir-Kheli believed were worth discussing were “verification of limits on enrichment,” “identification of parties responsible for illegal activities” and “action against” them, a decision, with a “written commitment,” to adhere to the five percent enrichment level, and “institutional measures” to curb illegal procurement activities. Document 11: U.S. District Court, “Indictment: U.S. of America Vs. Arshad Pervez and Inam Ul-Haq,” 28 July 1987. The indictment against Pervez and Ul-Haq included charges of conspiracy, bribery, racketeering, export violations, and false statements. The key element in the case was the illegal effort to acquire 1) 350 maraging steel that would be “used in a uranium enrichment plant to manufacture nuclear weapons,” and 2) beryllium, used specifically for the neutron initiator in a nuclear weapon, the export of which was controlled in the government’s Commodity Control List. Document 12: Department of State, “Classified Congressional Briefing on Pakistani Clandestine Nuclear-Related Procurement, “circa 26 July 1987, secret. These are the Department’s talking points, intended for use with Congress. While ACDA officials were fairly certain that a violation of the Solarz amendment had occurred, the State Department did not want to assume anything until it had reviewed the evidence. What comes across very clearly is a strong aversion to “hasty reaction to this case” because of the situation in Afghanistan. “We are particularly concerned about weakening the President’s hand in discussions with the Soviets on Afghanistan, which is at a critical stage.” Moscow’s “incentives to reach a settlement” could be reduced if “US resolve or ability to work with Pakistan” was in doubt. Declaring that the administration had an “open mind” about the Pervez case, Armacost nevertheless observed that “the only apparent use for this grade of maraging steel [was] for a gas centrifuge.” What Armacost wanted in particular were Pakistani actions that he could tell Congress about, such as government “instructions” that showed it was trying to stop illegal procurement in the United States and that it would extradite Brigadier Inam. Zia declared that Pakistan would cooperate to “prevent illegal procurement;” he asked for a list of illegal items and said that steps would be taken to “tighten up” procurement operations. When the embassy in Islamabad sent to the State Department a record of the conversation, Armacost had not reviewed the first 45 paragraphs; subsequently, his assistant Andrew Steinfeld sent a corrected copy that had interesting and sometimes important differences from the original (for example, compare the versions of paragraphs 14 and 34). During the Armacost-Zia talks, the Pakistanis had told U.S. officials that they would confidentially share any new procurement regulations with them. The embassy reported that a “roadblock” had emerged and that Foreign Minister Yaqub Khan was looking into why the regulations had not been made available. The Pakistanis made available some documentation later [see document 26] but the specifics have not been disclosed. The Canadian government cooperated with the U.S. Justice Department in the Pervez case by seizing documents at his and making them available to federal prosecutors. The State Department wanted permission to review the documents “on the premises of the U.S. law enforcement authorities” so that it could use them to prepare recommendations to President Reagan “concerning a decision regarding the applicability of the Solarz amendment.” These documents concern messages to the Canadian government on the request for access; how and when Ottawa responded is not clear, although presumably it gave permission. 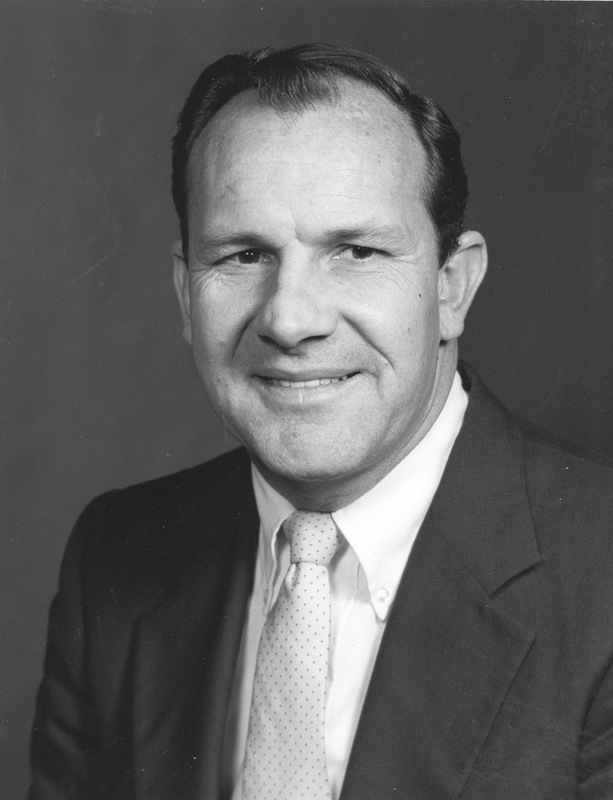 Continuing to take a tough line on Pakistan, Adelman advised Armacost to “increase pressure on Pakistan to try to get them to stop enrichment above five percent and to stop illegal procurement activities in the United States.” To do this he suggested holding off until January any certification that Pakistan does not “possess a nuclear explosive device” (as required by the Symington Amendment). Moreover, he recommended invoking the Solarz amendment but not making a decision on “waiving its restrictions” also until January. On Solarz “the facts certainly support such a finding” and leaving the decisions in suspense would act as pressure on Islamabad. Most of the copies of the exhibits provided by the State Department lacked the original exhibit numbers. Nevertheless, to the extent possible the documents reproduced here follow the order of the exhibit list. Some exhibits are unavoidably missing, such as a videotape and $1,000 in 100 dollar bills, but what is available provides a good sense of Pervez’s efforts on behalf of the A. Q. Khan front, Multinational Inc., to purchase the maraging steel. Included is correspondence from Multinational Chief Executive Inam-Ul-Haq to A.P. Enterprises, run by Pervez, and from Carpenter Technology Corporation to A.P. Enterprises with price quotes for the steel. Apparently following Shultz’s advice, Reagan informed Congress that he had “concluded that Pakistan does not possess a nuclear explosive device.” Not only would that allow military aid to resume, but Reagan argued that such aid provided “the most effective means for dissuading Pakistan from acquiring nuclear explosive devices.” The implication was that working with the Pakistanis on the inside was more effective for the nonproliferation cause than were sanctions. ACDA did not buy Reagan’s argument about preferring to work with Pakistan rather than impose sanctions. With Adelman leaving ACDA, acting director Norman Wulf sent Armacost a proposal for applying nonproliferation standards to Pakistan even if Reagan rejected application of the Solarz amendment and aid continued. Recognizing that the war in Afghanistan was in its end-game, Wulf wanted the administration to prepare for a new relationship with Pakistan. As he put it: “if we do not have meaningful nuclear restraint from Pakistan now we are unlikely to be able to sustain a significant relationship with Pakistan in a post-Afghanistan environment.” In light of the Pervez verdict, Wulf recommended invoking Solarz to “send the right message to potential proliferants and to Zia.” If the Pakistanis could make helpful changes on their procurement policies, e.g., no more attempts to acquire U.S.-origin goods for their nuclear program; then it would be possible to waive Solarz. Simultaneously, Washington could follow up a recent Shultz proposal for nuclear suppliers to tighten up licensing of dual-use exports. As for Symington, Wulf argued that with resumption of the next aid package it would be a “gross error” not to reestablish the “red lines” on reprocessing, device assembly, testing, and sensitive technology transfers, and enrichment that Reagan had set in 1982 and 1984. To secure compliance with the five percent enrichment limit, Wulf proposed barring certain military aid deliveries, such as AWACS, as an “inducement to cut enrichment.” A dissenting reader wrote “NO” next to this paragraph. Source: Public Papers of the President of the United States, Ronald Reagan, 1988, Book I (Washington, D.C., Government Printing Office, 1990), 46. Recognizing the facts brought out by the Pervez conviction, in January 1988 the Reagan White House invoked the Solarz amendment but then waived it. The White House used a clause in the amendment that allowed a waiver in the interests of the “common defense and security.” Cutting aid, Reagan argued, would be contrary to U.S. “strategic interests” and “unlikely to achieve the nonproliferation objectives sought by [their] sponsors.”‘ Possibly following advice from ACDA or other sources, the statement tacitly linked the aid program to nonproliferation goals: it made an indirect reference to the five “red lines” by asserting that “there are crucial nonproliferation criteria which Pakistan continues to honor. According to the statement one reason why the White House waived Solarz was that the Pakistanis had pledged to “tighten” procurement procedures in the United States. Moreover, Washington would “continue pressing Pakistan away from a nuclear weapon option” and work to avoid a South Asian arms race. How the Reagan administration followed up on this during 1988 remains to be disclosed. A: Department of State, memorandum from Elizabeth Rindskopf to Mr. Kimmit, “Pakistan Nuclear-New Trial for Pervez,” 13 January 1990, unclassified. A Hong National and two U.S. citizens were indicted for illegal exports to Pakistan of advanced computers and other technology; see Dennis Kux, The United States and Pakistan, 1947-2000 (Washington, D.C,, 2001), 285. See also document 13 in this collection. Adrian Levy & Catherine Scott-Clark, Deception: Pakistan, the United States, and the Secret Trade in Nuclear Weapons (New York, 2007), 168-169. For background see Kux, The United States and Pakistan, 1947-2000, 223, 239, 275-278, and 285-286, and National Security Archive Electronic Briefing Book No. 377, “New Documents Spotlight Reagan-era Tensions over Pakistani Nuclear Program,” 27 April 2012. The “shopping lists” may have been among the documents seized in Canada, but apparently were not used as trial exhibits.